The sky is the limit at the Edwards AFB Aero Club. Experience the thrill of piloting an aircraft. Your local Aero Club provides many stages of flight training, from your first introductory flight through to solo, then on to private, commercial, and instructor ratings. The choice is yours. Whether your aim is recreational or a career path, your Aero Club will train you to the highest standard with safety always foremost. Only 18 clubs exist worldwide and you’ll find one of the best right here at Edwards. The club was recently awarded the Five Star designation. The Five Star Program is an annual recognition of superior achievement for aero clubs. This is a comprehensive program, designed to recognize excellence in five areas: operations, programs, training, facilities, and customer service. The Edwards Aero Club currently has about one hundred thirty active members, all of them somehow affiliated with the military. Aero Clubs let airmen and officers in non-flying jobs, civilian employees, retirees, contractors, along with family members learn what flying is all about. Note: All rental rates below are “wet rates” to include fuel. 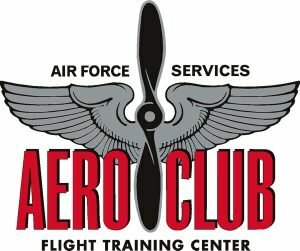 The Aero Club offers a Ground School that will fit YOUR schedule. As we are your local Cessna Pilot Center you can now purchase Cessna’s Computer Based Instruction Kit and study when YOU have time. These kits are a part of Cessna’s total integrated flight training system and built around the new C172 – the same aircraft you will be flying as part of your training. WHAT DOES IT TAKE TO BECOME A LICENSED PILOT? Becoming a Federal Aviation Administration (FAA) licensed pilot requires a minimum of 35 hours of flight training; 20 with an Instructor Pilot, and 15 hours of solo flight through our FAA approved part 141 course. For our FAA approved Part 61 course, the requirements are a minimum of 40 hours, 20 with an Instructor Pilot, and 20 hours of Solo flight. It is important to remember those are the minimum times…the national average is 75 hours; however Edwards Aero Club students average 65 hours before getting their FAA Private Pilot License. This does not include the ground school required to pass the FAA written test. Your local Aero Club uses the Cessna Computer Based Instruction, where you can take the program home, install it on your computer, and start learning. This program also lets you see what is expected of you on each flight lesson, by seeing the flight as they happen by on board cameras. You are not only buying the ground course but if you will; an aircraft and a flight instructor in a box (this computer program). CAN ANYBODY LEARN TO FLY? You can learn to fly at any age but solo flight is not allowed until the age of 16. All you need to begin is a student pilot license/medical obtained at a specialized flight doctor in our area. General aviation is statistically safer than most forms of travel. USAF Aero Clubs have a significantly higher safety record than their civilian counterparts. The safety programs in place provide a safe and enjoyable experience for learning and flying. Aircraft rates vary from Aero Club to Aero Club. These are due to varying factors such as aircraft type, location and facilities offered. The rate for a trainer aircraft varies from $134 to $145 per hour and your flight instructor costs $45 per hour. These costs can be spread over whatever time period that suits you and your budget by using financing. The Aero Club offers you the opportunity to take a $190 introductory flight to allow you to judge for yourself whether you are keen to continue with further training.